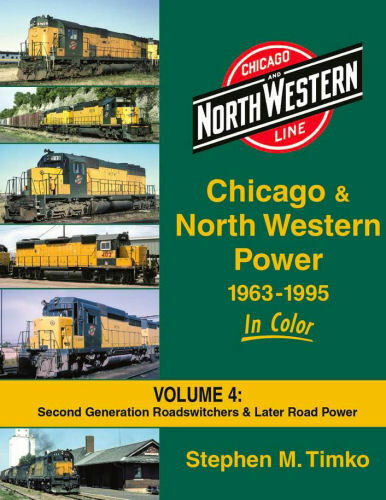 The North Western’s modern day roster is wrapped up in this final volume with coverage of second generation roadswitchers and later road power. Diesel models C425, GP30, GP35, SD40, U30C, GP38-2, C628, SD50, SD60, C44-9W and more complete the picture for motive power fans. Hard cover.